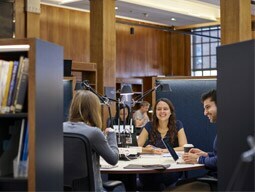 The University of Edinburgh Business School (MBA) and Bachelor of Arts. Amelia Whitelaw is executive director of the Wheeler Institute for Business and Development. She brings to this position success in leading research and academic institutions, identifying, promoting and implementing multi-organisational and international collaborative programmes. Her appointment recognises the institute’s emphasis on emerging and developing markets. 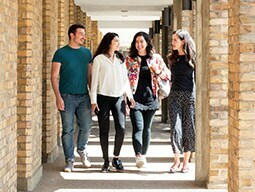 As the former executive director of global outreach at LBS, Whitelaw identified, created and delivered global elements of the School’s portfolio, including the global, London-based and student-led experiential learning, student recruitment and global relationships with business. Prior to joining LBS, Whitelaw provided policy support to the vice chancellor (president) and other senior executives of The Australian National University (ANU) in relation to its international development programme. As deputy director of international strategy and alliances at ANU, Whitelaw developed the management frameworks for the secretariat of the International Alliance of Research Universities that comprises the world’s 10 leading research universities. Concurrently, she was interim-director of the US development office and responsible for representing the ANU on the east coast of the US (based in New Haven) and identifying and pursuing its strategic opportunities. Whitelaw graduated from The University of Edinburgh Business School with an MBA with distinction and holds a Bachelor of Arts.